Surrounded by soaring pines and sweeping mountain views, Lake Louise Inn is near Lake Louise Village and just over two miles from the lake. The Inn is a collection of five loges with a variety of room types and hearty cuisine at a choice of restaurants. 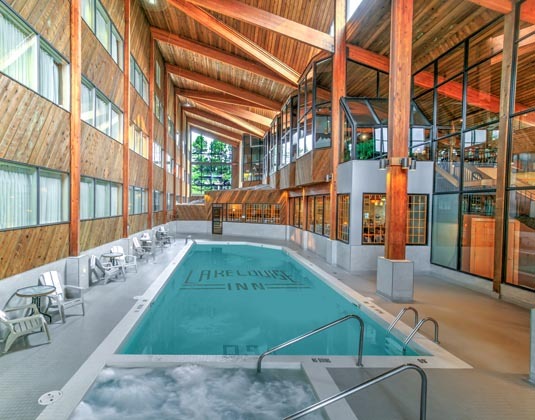 The mountain scenery can also be enjoyed through floor-to-ceiling windows as you unwind in the indoor pool. In standard rooms with TV, coffee maker and hairdryer. 10% room discount: 01 May-07 Jun & 16 Sep-31 Oct 18 if you book by 30 Nov 17. Not applicable to standard rooms.